They’re back to the high mountain climbs this weekend, with three summit finishes in a row. Who will hang on, who will drop off, who will be in red by Tuesday’s rest day? Let’s start with what today’s stage holds. It’s a long stage and for the first half of it, pretty innocuous. 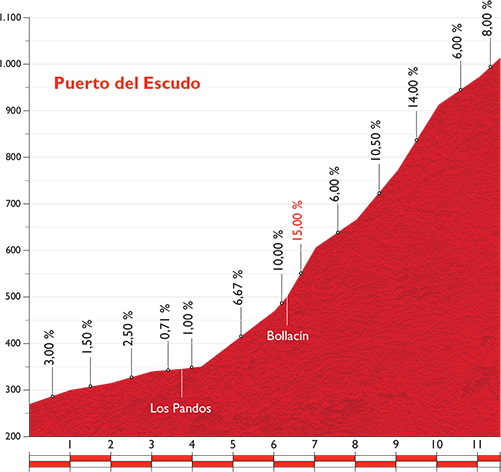 But then it has that gigantic dip in the middle, followed by a steep ascent of the cat 1 Puerto del Escudo. It’s 9km of hard climbing and has double-digit gradients at various points with nothing below 6%, so it’s not a climb to be ridden with nonchalance. 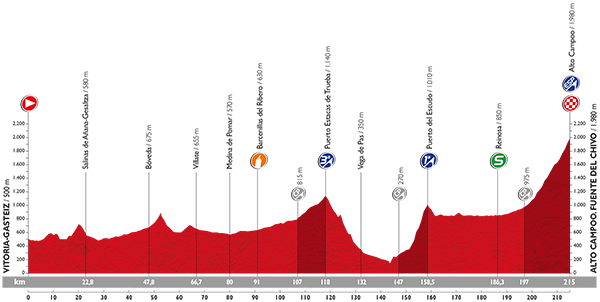 With 40km of flat after a short descent, chances are anyone dropped on this climb might be able to bring themselves back up to the front before the final HC climb of the Alto Campoo. It’s a long 17km climb but the gradients aren’t that gruesome, with 9% being the highest of the climb (although in the last few kilometres). 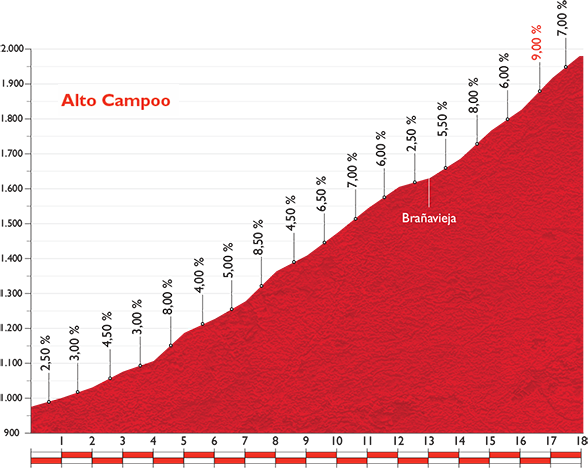 It’ll be the length of the climb – and the length of the stage itself – that will make this so difficult. That said, it’s going to be a long day, it’s going to be a gruelling day and it’s only the first of three hard days.